How to Eat Un-fried Worms. "I'm glad you and my mom are friends." , chapter, "Omega" is one of the best walking dead episodes in a long while. Several factors helped here, but first and foremost because Daryl is finally starting to shape up as a fully-realized character. It's that it took nine years, but there's no better time than the present, right? Especially if we're looking at him to take over as the new Rick. A notion that was rumored after Andrew Lincoln's exit, but one that feels even more concrete now after Danai Gurira announced she was also leaving. Over the years, Daryl, as a stoic and reclusive badass, has overflowed with potential, but his The primary function has been that of a self-exiled outcast. A capable fighter, sure, but not a character that's resonated much further than his vest and crossbow. He's fielded the major emotions, yes. Rage, guilt, despair. But for one of the show's major core characters, he's more or less suffered in silence and been relegated to terse quips and not showering. 1; particularly in Season 5's "Consumed," when Daryl grabbed a book on how to treat survivors of childhood abuse – about Daryl's early trauma is finally starting to surface and serve the story. To be fair, a reason why Daryl is kept to himself, and only let himself get close to a select few, is because of his trauma. I get that. He, understandably, has a fear of connecting. In "Omega" though, he is able to reach out to Lydia, the daughter of a crazed and abusive mother, in a way that both allowed himself and the story as a whole to open up. In fact, having most of the episode be about the ramifications of abuse – whether it was Daryl's, Carol's, or Lydia's – made this much more impactful and interesting Walking Dead in general . himself, to get information out of Lydia is the most emotionally proactive thing he's done in years. And when you mixed in with Lydia's own confused and tormented mind, which takes us through an "unreliable narrator" flashback with a few nasty twists, "Omega" is able to stand as a chapter that not only evolved Daryl but also gave us a very quick and effective introduction to Alpha and her entire gimmick as the show's new antagonist. Hell, we're still waiting on Negan's backstory, years later, and he's been the show's biggest villain to date. See how cool it is to just get someone's deal right at the outset? Granted, it doesn't always work. Especially when it comes to character's very drastic and savage take on the zompocalypse. 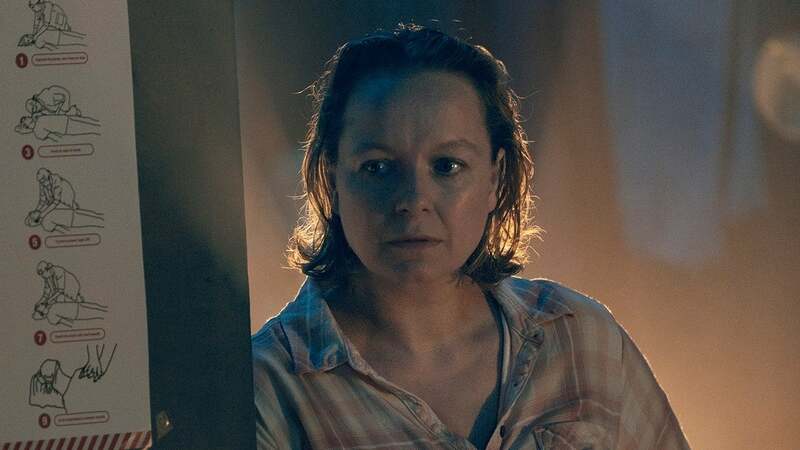 Fear the Walking Dead tried to explain its most recent baddie, Martha, with a series of flashbacks and it didn't work. Mainly because there was a difference between what happened to her and what she wound up. She was denied help so she … turned into someone who thought only walkers were "strong?" It didn't feel right. Anyhow, the tactic does with Lydia's mom – aka Alpha – because the twists help us discover that her mom was always a tormentor. She wasn't a person who turned up and down. She was a horrible abuser who became even worse when the world went to hell. It's much easier to buy someone who goes all the time than someone calm and innocent making a harsh and harrowing choice. By the time Alpha shows up at the end, with a pack of Whisperers (it's cool and creepy to see them just mosey along normally), at the gates of Hilltop, we're all set. We have a solid jumping off point for her whole shtick. In suppose the surprising element is that Alpha returns for Lydia, when Lydia insists that she'll be left behind, but overall we're ready to tussle here. The episode's loyalties are with Lydia, Henry, her backstory, and Daryl. There's a story involving Magna, Yumiko, Connie and Kelly trying to get a rescue for Luke, but it doesn't distract too much from what's more-focused-than-usual installment. No Alexandria, no Kingdom: Just Hilltop and their prisoner. Just Henry isn't wholly terrible this week. There is still a push and pull with regards to his naivé, but he makes huge strides when, after he discovers Daryl was snooping on him and Lydia, he asks why Daryl didn't bring him into the plan in the first place. In, he was willing to help get information out of here, even if he simultaneously saw the "good" in her and cared about her. So good for him. It's unclear whether he's working with Daryl at the end when he's showing Lydia the camp. And if he is not then it was a bone-headed move that could have killed him. Either way, Daryl's watching and would have stopped Lydia if she'd grabbed that hammer. I choose to believe that, after their previous conversation, Henry was working with Daryl at this point. It was a twisted chaperoned date. Um, also … relationship goals? Find someone who'll clean your earthworm for you. Sorry, that's like innocuous as I could make that sound. The Walking Dead took a step outside its usual M.O. or meandering threads and too many characters to hone in at very specific dynamic between Daryl, Henry, and Hilltop's new prisoner. With the central theme being the survivors of abuse and / or still being abused, the show really clicked in ways it hadn't been in a long while. Especially with regards to Daryl. And – hey! – It even reminds Henry a little bit.